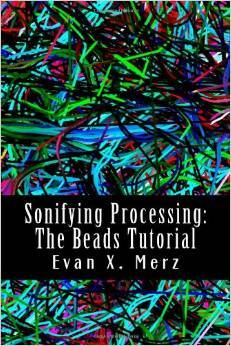 This book introduces audio programming to Processing programmers through the Beads library. It covers topics such as synthesis, sampling and general sound-mangling in such a way that is appropriate for beginners, or more experienced programmers who want to expand their repetoire. Sonifying Processing shows students and artists how to bring sound into their Processing programs. It takes a hands-on approach, incorporating examples into every topic that is discussed. Each section of the book explains a sound programming concept then demonstrates it in code. The examples build from simple synthesizers in the first few chapters, to more complex sound-manglers as the book progresses. Each step of the way is examined at a level that is simple enough for new learners, and comfortable for more experienced programmers.